It is Lent and Easter will soon be upon us. This is the time of year when the Church welcomes many new adults into the faith after they complete the Rite of Christian Initiation of Adults (RCIA). One of the most common inquiries we get at CARA is a request for “retention rates” for those who went through RCIA. How many stay Catholic? How many stay active in parish life? At CARA we often hear even lower estimates. Some assume as few as 10% stay after becoming Catholic. Unfortunately there is no current and “credible source” for these statistics. The Church tracks the number of people entering the Church but does not observe how many remain after a year or some other period of time. Retention estimates are anecdotal. Two years ago we presented a statistical profile of adult converts to Catholicism. At that time we noted that most who convert do so because they marry a Catholic and want to share the same faith. They also turn out to be among the most active and informed Catholics in the pews. It makes sense because they have taken a half year or more to formally educate and form themselves in a faith. Yet one could argue we are only studying those who go through RCIA and remain Catholic. What about those who don’t? That got us thinking… A provisional English translation of the Rite became available in the mid-1970s and in 1986 the approved Rite was released. For most years since this time (and up to 2014) we have data from The Official Catholic Directory and the Annuarium Statisticum Ecclesiae on the number of adult baptisms and receptions into full communion. If one sums the number of entries recorded here you get a total just over 4 million. Aggregating over multiple years and studies, CARA’s national surveys of self-identified adult Catholics (CARA Catholic Polls or CCP) indicate that 8% entered the Church as adults. Three-quarters of these adults (75%) say they went through an RCIA program. Thus, we can assume that 6% of all adult self-identified Catholics are converts who have been through RCIA. How many Catholic adults are there? According to the Census, the U.S. population in 2014 was 318.9 million. Of this, 245.2 million were adults. CARA’s aggregation of national surveys for 2014 (Pew, Gallup, PRRI, GSS) estimates that 23.2% of this population self-identified as Catholic at that time. This means there were 56.9 million Catholic adults. Six percent of these adults, who we estimate entered as adults and went through RCIA, represents a total population of 3,413,199. We know about 4 million have entered the faith as adults since 1986. Surely, some of these people have passed away or moved outside of the United States (…also some who entered the faith in another country may have moved to the U.S. and been captured in our surveys). Yet, even if assume none have passed away or left, then 84% of these entries still self-identify as Catholic and as we have described before they tend to be very active in the faith. For example, 62% attend Mass at least once a month (compared to 48% of cradle Catholics) and 54% go to confession at least once a year (compared to 24% of cradle Catholics). So why do so many RCIA directors, pastors and others assume retention and activity is so low? Why don’t they see the people they formed in their pews? Because many really did leave that parish. But that doesn’t mean they are not Catholic and not active in their faith in another parish. Remember 72% indicate one of the main reasons they convert to Catholicism is marriage. What do people do in and around the time they get married? They move, buy homes, start families, start careers, and have kids. Don’t take it personally that they aren’t in your pews. It’s a safe bet that they are in another parish’s pews. Actually it’s more than a safe bet. Eleven percent of people CARA has surveyed nationally in-pew, during Mass, self-identifies as a convert to Catholicism. That is higher than their share within the self-identified Catholic population (8%). This is because they are more often attending Mass than other Catholics. The 84% retention estimate is likely on the low and conservative end. At the same time this involved surveys and there are margins of error involved. 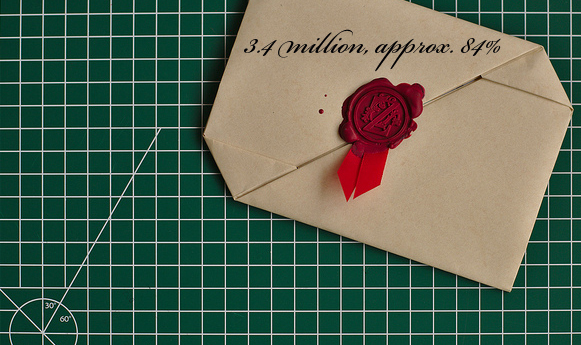 It is still a very “back of the envelope” estimate. If anyone is interested in commissioning a study to confirm this please contact us here at CARA! Image courtesy of Dennis van Zuiglekom. If you’ve been watching the coverage of the early caucuses and primaries you’ve heard a lot about Evangelicals. I feel like I have an intimate understanding of what Evangelicals like for breakfast and what their Oscar picks are. Yet virtually nothing is being said about Catholic, Jewish, or other voters—including the fastest growing religious identity group in the country, those without a faith (i.e. Nones). Are we all just Evangelical or not now? No, instead the media organizations that develop the exit and entrance polls with Edison Media Research have decided that only Evangelicals really matter at this stage. It’s the only thing they find interesting when it comes to religion. So am I just a cranky social scientist? Yes. But I also want to note that if you only ask respondents if they are an Evangelical or not, the data you get back is, for lack of a better term, crap. This is no secret to most social scientists who study religion (or elections). 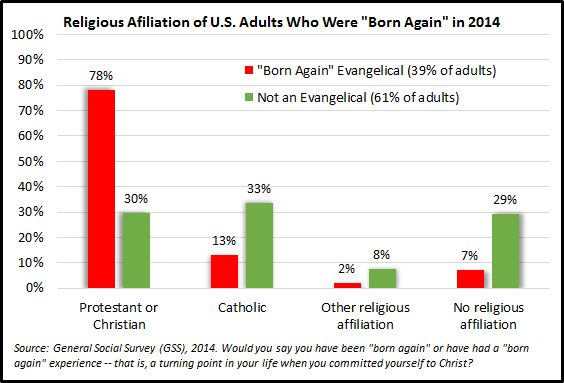 For example, here are results from the 2014 General Social Survey that show the religious affiliation of those who said they were “born again” or an Evangelical and those who said they were not. Only 78% of “Evangelicals” are Protestants or other Christians. An additional 13% are Catholic, 2% are some other faith (including Jews, Muslims, Buddhists, etc. ), and 7% have no religious affiliation at all. More important, among the 78% of Evangelicals who are Protestants or Christians, many have different definitions or conceptions of what an “Evangelical” is. It all makes for good television and graphs but in reality doesn’t amount to much of anything real in a sociological or theological sense. Regardless of measurement errors I will admit it is still an interesting group to study. It just does not reflect the group that most journalists assume they are actually talking about. Did Donald Trump win the Evangelical vote in South Carolina? Who won the “real” Evangelical vote? The GSS above is no outlier. This is a fairly established pattern in surveys where respondents are asked the religious affiliation and the Evangelical question. For example, in the Pew Research Center’s original Religious Landscape Survey conducted in 2007 anyone who self-identified as a Christian was asked an Evangelical identity question. Only 61% of those who said they would describe themselves as “a ‘born-again’ or evangelical Christian” were members of Evangelical Protestant churches. An additional 27% were members of other Protestant churches. Eleven percent were Catholic and less than 2% were members of some other Christian faith (i.e., Orthodox Christian, Mormon). The most remarkable thing about the media’s blind spot regarding voting behavior by religious affiliation is that this is likely the story of the 2016 election. In that story Evangelicals are no mystery. They will be voting as a majority for a Republican for president. Nones will be voting Democratic by a large majority (approximately 7 in 10). Although predictable, what makes the Nones so interesting is that they are growing and they are young. Will they turnout? The most interesting group, arguably, is also the least predictable. It might be good to have data on an unpredictable group! Catholics will likely decide who wins the presidential election. 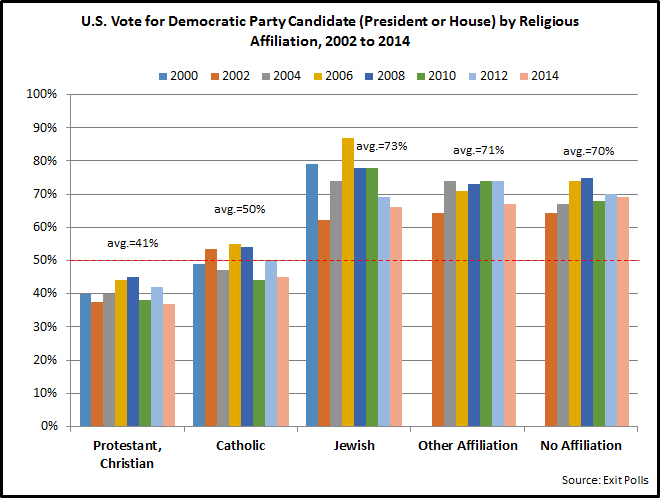 They are the only major religious affiliation group which can “swing” from one party to the next in elections (for more see our analysis in OSV). They also have solid record predicting the winner of the popular vote. Every presidential candidate knows that it will be very difficult to win the presidency without a majority (or plurality if a 3rd candidate wins substantial votes) of Catholics. When will the media wake up and start tracking the Catholic vote? I have to thank the Pew Research Center for doing some of the first polling on this during this election season. I hope they continue to do so. The Wall Street Journal has a feature where you can keyword search some of Hillary Clinton’s emails (i.e., those that have been released to date) while she was serving as Secretary of State. I searched for “Catholic” and “Pope.” What resulted? Not much. Out of 27,721 emails 96 include Catholic and 39 include Pope. I think the most shocking thing for me is how many of these emails are simply sharing news articles or asking staff to print paper copies of news articles. Who knew the press mattered so much for our international diplomacy? Not much else is interesting reading. There is a Michael Tomasky article that Chief of Staff Cheryl Mills sent to Secretary Clinton in May 2012 about President Obama possibly switching from Biden as Vice President to Clinton. The article notes that Biden, “helps a bit with white working-class and Catholic voters.” There was no response to Mills by Secretary Clinton. Perhaps the single most interesting exchange about anything Catholic-related is between Secretary Clinton and President of the Center for American Progress Neera Tanden. 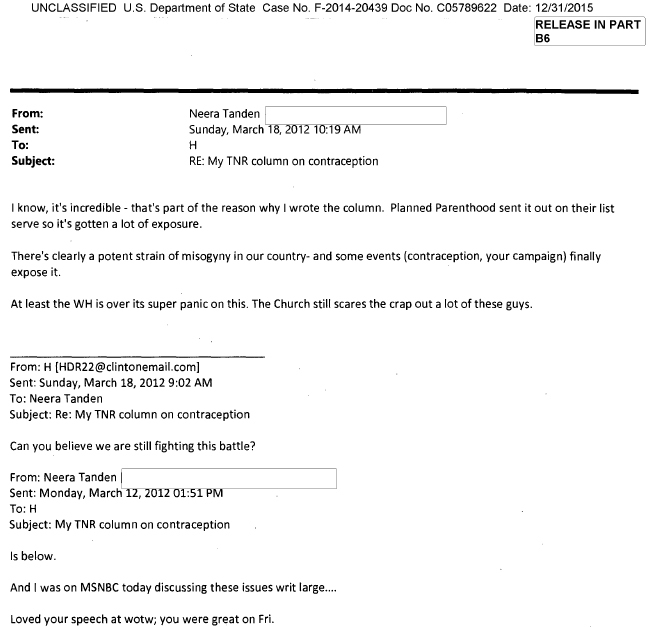 Tanden emails Clinton in March 2012 about an opinion piece she wrote in The New Republic about contraception. She notes she was on MSNBC discussing this piece and then praises Clinton for a recent speech. A few days later Clinton responds simply noting, “Can you believe we are still fighting this battle?” Tandeen responds to this noting that her article has had a lot of exposure because Planned Parenthood sent it out to a list of subscribers. She ends the email noting, “At least the WH [White House] is over its super panic on this. The [Catholic] Church still scares the crap out [of] a lot of these guys.” That is a semi-inside take that is certainly new to me. I’ve never had the sense that the Obama Administration is afraid of the Church. Even if they were this would certainly not be classified or top secret. Other than this bit of gossip there is not much else interesting reading other than old news articles about Northern Ireland and Cuba. Pope Francis is making a Lenten season trip to Mexico this week (Feb. 12-18). Since 2010, approximately 82% of adult residents in Mexico have self-identified their religious affiliation as Catholic in national surveys, on average. This is equivalent to a population of about 97 million self-identified Catholics of all ages as of 2013, the most recent year for which Vatican statistics about parishes, priests, and sacraments are available (the self-identified Catholic population is estimated to have been 99.8 million at mid-year 2015). The Catholic affiliation percentage has fallen from where it was in the 1980s. In that decade, approximately 88% of adults self-identified as such. However, Mexico’s total population has grown and even with this lower affiliation percentage there were 42 million more Catholics in Mexico in 2013 than in 1980 (63% growth). The percentage of Mexican Catholics saying that they attend Mass every week has declined in surveys from an average of 58% in the 1980s to 44% in the 2010s. However, once again, a declining percentage does not mean that there are fewer weekly attenders in the pews. With population growth the number of weekly Mass attenders has grown from 36.7 million in 1980 to 42.7 million in 2013 (16% growth). Given the number of parishes in Mexico in 2013 and the self-reported Mass attendance of survey respondents, we would estimate that there are 6,064 weekly attenders per parish. Since 1980, Vatican statistics indicate that Mexican dioceses have added a net total of 3,072 parishes (77% growth). This additional infrastructure has made it possible to decrease the number of Catholics per parish slightly, even with population growth, from 15,932 in 1980 to 13,782 in 2013. These numbers are based on the size of the Catholic population as we see in national surveys rather than the Church’s own population estimates, which have been somewhat unreliable in Mexico. It has been very uncommon for a parish to be entrusted to a non-priest in Mexico (i.e., Canon 517.2). Eighty-eight percent of parishes in 2013 were administered by a resident diocesan priest. More than 7% were administered by a resident religious priest, and 4% by a non-resident priest. Less than 1% were entrusted to any other type of person or are vacant. Mexico has experienced growing numbers of clergy and vowed religious since 1980. The number of deacons present has increased from 34 to 894. The number of diocesan priests has increased by 82% from 7,030 in 1980 to 12,765 in 2013. The numbers of religious priests, brothers, and religious sisters have also all increased. In total, the workforce of the Church in terms of its clergy and vowed religious in Mexico has grown by 28% since 1980 and numbered 47,274 in 2013. This growth rate still lags behind the growth for the Catholic population which was 63% during this same period. However, Mexico is one of the few countries in the world where the workforce of the Church has consistently grown across all types of clergy and vowed religious. Relative to its number of parishes, Mexican dioceses have large numbers of priests—nearly two diocesan priests per parish (1.8). Yet ratios of Catholics per parish remain high (13,782). More parish construction is likely needed in Mexican dioceses and there are a sufficient number of diocesan priests available for these parishes to still be administered by a resident priest pastor. One of the reasons the Church in Mexico has had a growing number of diocesan priests is that it consistently ordains more men each year than it loses to mortality and defection. As shown in the figure below, the number of centers of formation for priests has increased overall by 38% since 1980. In 2013, 36% of these centers were diocesan secondary school centers and 23% were diocesan philosophy and theology centers. The numbers of men in formation in secondary school centers has declined as the number studying in philosophy or theology centers has increased. In 2013, a total of 6,544 men were in formation for the priesthood at a philosophy or theology center. In that same year, 389 men left these centers. This represents 5.9% of those enrolled and is slightly lower than the percentages leaving in years past. The number of students enrolled in Catholic schools and institutions of higher learning has increased by 42% since 1980. Secondary schools and Catholic institutes of higher learning have grown, whereas there seems to be a more recent contraction, since 2000, in kindergarten and primary school enrollments. The largest growth has occurred among the number of students enrolled in Catholic institutes of higher learning. Just 54,469 were enrolled in 1980 compared to 229,738 in 2013. These shifts may be related to demographic changes noted at the end of this post. There are more baptisms in Mexico than any other single country. However, the numbers of infant and child baptisms have declined since 1980 from more than 2 million a year to more than 1.6 million. However, the numbers being baptized age 7 or older is increasing. 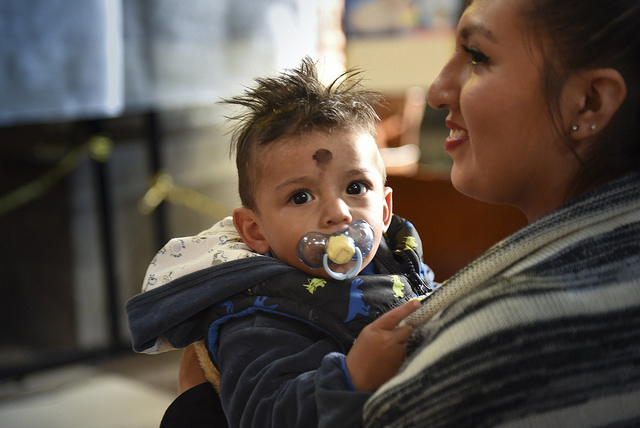 This may reflect a cultural change among Mexican Catholics or also represent structural barriers to baptisms of infants at an early age (e.g., no priest and/or parish available in rural areas). Numbers of First Communions have been stable and the numbers of Confirmations celebrated has been rising slightly in recent years. As in many countries, fewer Catholics are choosing to marry and/or marry in the Church. The number of marriages celebrated in the Church in Mexico is down 31% since 1980—even as the population has grown. The figure below shows changes in sacramental practice controlling for population growth. It shows the number of sacraments celebrated per 1,000 Catholics in a given year. From this perspective, the steepest decline is in baptisms. In 1980, 32 of these were celebrated for every 1,000 Catholics in Mexico. In 2013, just 18 were celebrated per 1,000 Catholics. 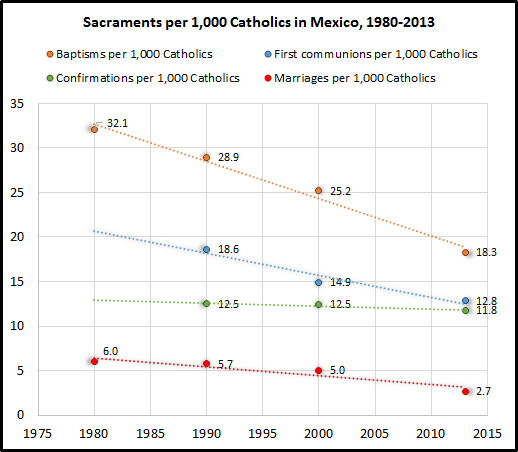 Does the decline baptisms represent Mexican Catholics leaving the faith in droves? No. According to World Bank data, in 1980, there were 33.8 births per 1,000 people in Mexico. In 2013, there were 18.4 births per 1,000 people. The shift in the crude rate for baptisms in Mexico simply mirrors changes in the crude birth rate. Similar patterns of declining fertility can be seen around the world resulting in fewer infant baptisms overall. Ash Wednesday photo courtesy of Marko Vombergar/ALETEIA.